Brazil Cruises into Next Round With Easy Victory. 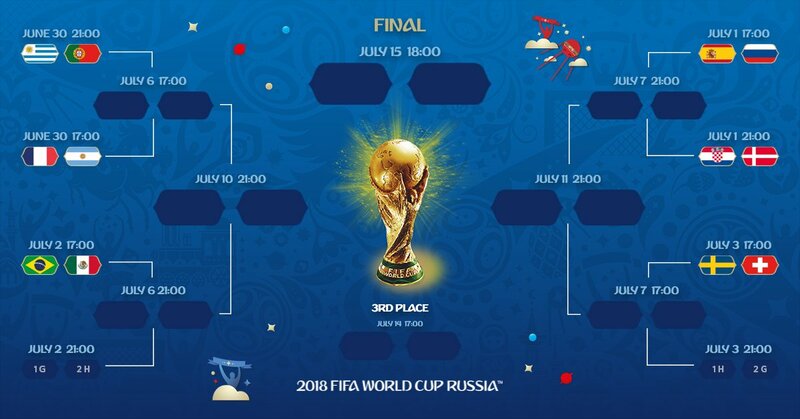 World Cup favourites Brazil have set up a round of 16 clash against Mexico after beating Serbia 2-0 to finish top of Group E.
Brazil cruised into the round of 16 of the World Cup like the five-time champion it is on Wednesday, outclassing Serbia, 2-0, on goals by Paulinho and Thiago Silva. The Brazilians toyed with a game but overmatched Serbia, their skill on display, and earned a date with Mexico on Monday in Samara. The Mexicans, who flopped in their game against Sweden earlier in the day, surely will not be happy with that news. Switzerland claimed second place in the group and will play Sweden next, on Monday in Rostov. Switzerland finished second in the group after conceding an own goal in stoppage time to draw 2-2 with Costa Rica. Both Brazil and Serbia were in contention for a place in the round of 16. Group E is one of the most open groups in the World Cup with Costa Rica being the only team that cannot qualify for the knockout stage. Brazil have not had the opening to the World Cup that was expected of them. Their recent clash with Costa Rica was saved due to two very late goals scored in injury time. Brazil forward Neymar has come under fire recently after his performances in the Russia so far. He has struggled the team’s previous matches against Switzerland and Costa Rica. Serbia recently lost to Switzerland 2-1 after conceding a goal in the 90th minute of their match on Friday.